As possibly the leading insurance broker in Tamworth over the years we have insured every kind of vehicle. With Motor Fleet insurance all types of vehicle can be covered under a fleet, and that can be cars, vans, heavy goods vehicles, special types of motor vehicle, for example fork lift trucks, agricultural vehicles and even motor cycles. At its simplest, a motor fleet insurance policy enables multiple vehicles to be all insured under one single policy, with one renewal date and if applicable, one monthly direct debit payment. For busy businesses this reduces administration and gives peace of mind that if you have got multiple vehicles you are not going to forget about one of your renewals. On a motor fleet insurance policy the usual criteria is that the vehicles must all be owned/registered to the policyholder (although individual directors who own cars can often be included) and must not be used for motor trade purposes, as a motor trade policy would instead be far more appropriate, please contact us to discuss what is the best insurance for you. For motor fleet insurance a minimum of 3 vehicles is often required although we can cover a fleet of only two vehicles but the premium saving may be insignificant with so few vehicles. Another massive advantage to a fleet is that the driving restrictions can be far more flexible. On single vehicle policies it is increasingly common to have to name every driver. On most motor fleet insurance policies insurance companies will cover Any Driver over an agreed minimum age, such as 25, however for larger fleets insurers will often then agree to cover individual drivers below that age limit! We deal with over 20 insurers providing motor fleet insurance, all of whom have a credit rating of BBB or higher. The benefit to you is they are less likely to go bust unlike the most recent failures Gable, Enterprise, Berliner, Blava and Milburn. We arrange more motor fleet business than any other single class of business we deal with so we know what we are doing! When we talk to you about your motor fleet insurance we will often suggest you consider optional covers too such as Motor Breakdown for your entire fleet anywhere in the UK and/or Gap insurance which at its simplest provides new for old insurance cover on your vehicles and/or clears the finance off if there is a shortfall following a total loss. What can help with the cost of motor fleet insurance and what makes Prizm Solutions different from most brokers offering this sort of policy is that in most cases we don’t take a commission from the insurance companies for placing the business with them. We believe that working on a fee is more ethical and transparent and you as our customer are sure we are recommending the best motor fleet insurance policy for you from the best insurer for you. 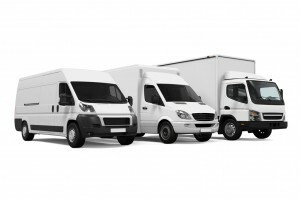 We have got many years of experience in helping all kinds of businesses to insure their fleets, so if you are the Director or Owner of a business with a fleet of any combination of vehicles you can be assured of our expert advice and knowledge of your business sector. Please give us a call on 01827 313 931 or email us via our contact us page. We look forward to providing you with a quotation.